Oresund has been an independent nation since the end of The Wicker Wars against the former nation of Druma in 213 TE. The Wicker Wars stretched from 199 TE until 213 TE, and the war was meticulously recorded by the scribes of Oresund. While the remaining accounts of the war are very detailed, few of the actual accounts remain, time having taken its toll. The diaries, journals and official histories that remain give a confused description of events, beginning with the wizard Isto (EE sto) trying to replicate the creation of the Tharician homunculi without requiring a body made of flesh. The histories indicate that woven men fought against the troops of Druma, while others say that the woven armor was crafted and given to the Oresund troops, in an astounding feat of craftsmanship. After the Wicker Wars came to an end, the tribes of Oresund united under the banner of the beings known as the Pentaverate. The Pentaverate are five mythical beings that enter into the history of Oresund during the middle of the Wicker Wars, and they turned the tide of the war with their great magics and exquisitely crafted arms. Their valor was such that the people of Oresund clamored for them to assume control of the nation and lead them to victory. In time, the five revealed themselves as the Gods of the Northern Hearth, claiming to hail from the lands in time immemorial, and were amongst those gods that shaped the land from the great Void. Many scholars, scribes, and historians disputed their claims, but none could dispute their power or the precipitous timing of their arrival. After the Pentaverate had left Oresund, the three clans and the rule of Oresund was established. The rule was uneasy at first, with the clans conflicting, though that faded over time. Squabbles and feuds still occur, but the nation is much more cohesive and focused than it once was. The Pentaverate imparted two major traditions to the people of Oresund as well: ritualism and forge magic. To this day, the lands of Oresund excel in these areas above all others, save perhaps the Tharici and the scholars in Khaldun. Great debates rage about which holds the greatest knowledge in of any of these arts. The throne of Oresund is not a hereditary position, or a position won through strength of arms, as it is in neighboring lands. The King or Queen of Oresund is chosen from the Unbroken Circlet, the name given to the ruling council of Oresund. The nine members of the Unbroken Circlet include three ritualists, three warriors, and three historians or scholars. Each of the three clans of Oresund sends one of each type to be members of the Unbroken Circlet, and should a member pass away, that clan sends another person who fills that role to replace them in the Circlet. King and Queens are chosen from the archetype of the Circlet that would be next in line to rule. Currently a ritualist, King Austar Finbrandur, sits upon the Oresund throne. The next in line to replace him, should he die of old age or fall in battle, would be a mighty warrior, and following his or her death would be a historian or scholar. There is rarely any bickering amongst the Circlet about who should be appointed to the throne within a given sect. Though they are all from the same three clans, they are of different ages and experience when they are appointed to the Unbroken Circlet. In time, their ties to each other and to Oresund strengthen as their ties to individual clans weaken. When conflict has arisen within the Circlet, the member has either been cast out of the council immediately, returning shamed and dishonored to his or her clan, or has been slain outright, and that clan has been removed from regal contention during that appointed cycle. These strictures prevent such conflict from occurring with any sort of frequency. King Finbrandur is from Clan Finbrandur, as each king or queen assumes the surname of their clan upon taking the throne. He is of middle years, with dark hair streaked with grey. He is a soft-spoken man, and his opponents have mistaken this for a weak will. King Finbrandur has dispatched those who assume such with ease, and his well thought out decisions have earned him both respect and love within Oresund. He follows on the heels of the deceased Queen Gabriella Nokkvi, of Clan Nokkvi, a scholar who was so steeped in historical tradition and analysis that few, if any, changes were made to the lands; people chafed upon the harsher, more outdated strictures of a past age. Queen Nokkvi was slain in battle with trolls on the eastern border of Oresund at the Battle of the Eastern Reaches. Clan Nokkvi is currently in charge of the warrior sect of the council, led by Alvgeir Stararm (AWLV geer), a self-styled blessed warrior that believes to be struck by his club is to be struck by the fury of the heavens. Though he is excessively vain, he is an extraordinary warrior and holds quite the tactical mind behind a pompous exterior. He shares the warrior sect with Dorrit Eirun (DOH reet AYH rohn), the Frostmaiden, leader of the Tundra Guard, from Clan Finbrandur, known for her icy demeanor and deadly spear and shield skills; and Nilmer Preben (NEEL mer PRAY ben), a young warrior from Clan Rosskjel who wields a great two handed sword and is oppressively cheerful. Along with King Finbrandur, the ritualist seats are filled by Stanislava Udve (OOD vuh) from Clan Nokkvi, who specializes in binding and identification rituals, and is known for her exceptional hearing and sight; and Teitur Egill (TAY ter EE gill) from Clan Rosskjel, who specializes in magic of frost and shadow, known for his short temper and mercurial decisions. Stanislava is of middling progression in comparison to other ritualists that follow a similar path, but is a highly skilled scribe as well. Teitur is a true master of his arts and many seek to learn from him, though his secretive nature and temper often deter students from prolonged learning endeavors. The sect of the historians and scholars are more alike than the other two sects of the Unbroken Circlet. All three must possess knowledge of Oresundian history, Druman history, and the history of trolls and shadow creatures. Beyond that, each is expected to have an expertise in military, ritual, or political history, and one rare area of knowledge. Currently, the scholastic sect is composed of Emma Bjarmasdottir (BYAR mas doh ter) from Clan Rosskjel, the eldest of the sect and de facto leader. Her specialties are political history and ancient civilizations. Aksal Mironsen (AHK sahl MEE rohn sen) from Clan Nokkvi, a man of middle years whose physical prowess belies his kind and studious nature, specializes in military history and the Great War of Shadow, the period of the Most Foul. Hensar the Sharp from Clan Finbrandur, a young and serious man with little to no sense of humor and a great eye for detail, specializes in ritual history and contracts throughout the ages. Clan Nokkvi controls the southwestern crescent, stretching from the middle of the northern Gauntish border and sweeping west along the coastline, aptly calling their area Nokkviln. Clan Finbrandur controls the majority of the northern coastline, and portions stretching a little to the south and east of the northern coastline, calling their territory Findebran. Clan Rosskjel controls the most dangerous and contested areas of Oresund, naming their territory Kjellunde, with a specific area defined as the Eastern Desolation along the borders to troll country in the north. The people of Oresund are most commonly farmers, craftsmen, warriors, scholars, and historians. Very few fall outside of these roles, other than a few merchants and business owners. Taxes on the people are seen as fair, supporting the land, but not requiring the entire wealth of the citizenry. As such, the works of the kingdom are not as grand as they could be, but the people are fiercely loyal to their kingdom when opposed by outsiders. Petty squabbles and feuds between the clans stretch far back, but the kingdom is quick to intervene should the rivalries grow too hot. Most hope to please their clan, and those who perform well have a chance to become part of the Unbroken Circlet, as it draws from the commoners. This provides a very real motive for many of the people of Oresund to do their best to serve their nation. Warriors often aspire to join the Tundra Guard, the elite fighting force of Oresund that patrols the land, facing the worst of foes and creatures of legend. Ritualists, unsurprisingly, form cabals and work with those of like minds. Some work openly to benefit the land and its people. Life on the borders is a harsh one, and only the bravest live there, seeing it as a constant test from the Pentaverate. Three religions in Oresund hold some sway. The faith of the Pentaverate is the most common, by far. The majority of the nation follows this faith. However, some on the far borders of the nation follow the old faith of Druma, or have started to follow that of the Redwood Throne, who have made strong footholds in the southern reaches of the nation. Oresund is a land of myth and monsters. While other nations have heard horror stories of trolls, spirit witches and the frozen dead, Oresunders have lived it. Oresund is a land tolerant of the ways of magic, but no so much so that it is common place. One who practices the magical or alchemical arts is sure to find intrigue following them wherever they go. Ritualists are expected to adhere to certain laws and codes, whereas alchemists must remain secretive and circumspect. Oresund posesses a wholly unique religion and history. No other nation claims to have had gods not only walk among them, but rule them and raise them to their current glory. Oresund is rugged, clannish, and rural as well as civilized, urbane and metropolitan. Oresund's history is unlike any other history of the modern world, and the outcome of that is reflected on its citizens. Oresund is a land of bargaining and agreements, allowing for a type of home politics unseen elsewhere with more rigid power structures. Being from Oresund is akin to stepping out of a book of myths and legends for the other nations. Lowlanders simply might not believe the true tales being told by Oresunders. What makes Oresund less than desirable? Oresund is a cold, desolate place with limited contact with the outside world. Outside of a tense history with Gaunt and chilly relations with the Principalities, few other people have had contact with the distant Oresunders. The Caliphate's scribes and wise-men have clamored for official relations to be opened between the two nations, but nothing has come from this, as of yet. Only the Tharici are well known to Oresunders, outside of the Gauntish. Oresunders are widely uneducated with regards to the way Tharici are treated in other lands, having only seen the receptions of them in their own, which are mostly positive, barring a few altercations here and there. Traditions are so important to Oresunders that it's difficult to follow a different path. This creates a sometimes stifling situation for young people within the lands. Trolls and the frozen dead are becoming more and more of an issue, once again, as well as the strange arrival of the Frozen Castle. Not to mention the fact that the Tundra Guard is once again active, something that has always spelled a time of trouble for the nation. Oresunders are often hard to understand and get along with, and are considered strange and almost unreal by the rest of the world. Their reputations and legends precede them, making it almost impossible to get past the stereotypes and expectations of others. Their strange religion also is without place in much of the rest of the world, and their beliefs often conflict with the those of the Redwood Throne. Religious conflict in the rest of the world is a very real part of the life of an Oresunder adventurer. Oresund is a land of mysticism, the occult, myths, and survival. Oresund deals with creatures and situations that the rest of the world considers myths and stories. Oresund possess much magical knowledge, and is practical in its use and application, but is very superstitious of things that they don't know or understand. Oresunders are quick to work rituals and perform acts of warding in almost any conceivable situation. Oresunders tend to dress in loose robes, if they are ritualists, or loose, utilitarian clothes fit for survival. While they wear furs and layers for warmth in their homeland, they are quick to adapt, since adaptation is survival, and would almost certainly shed the furs in warmer climates, perhaps keeping them in their home to remind them of their northern homeland. Oresund draws from such sources as the epic poem The Kalevala, the Song of the Volsungs, as well as other sources of Finnish, Norse and Icelandic myth. 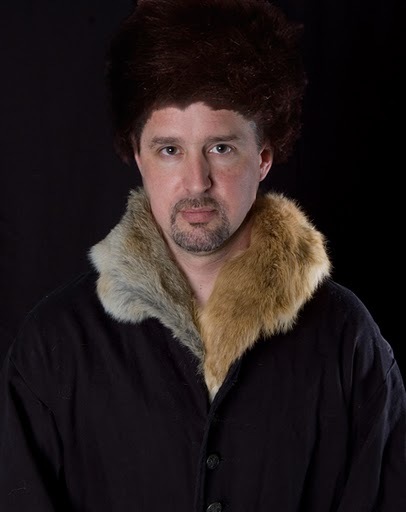 In style, most Oresunders look a lot like cossacks. In general, everyone wears utilitarian clothes fit for survival. Clothing colors tend to be neutral, earthy colors, including all shades of browns and creams, as well as mossy greens, and clay reds and yellows; whites and bright colors are almost never seen. The most common type of ornamentation on clothing are small needle-worked patterns along a single edge (or sometimes two edges) of a garment, usually in a geometric pattern no more than about 2 inches wide. These trims are almost always burgundy or periwinkle blue, from the dyes of the coastal flowers. While clothing is generally single-color, stripes do appear frequently in accent cloth, as it symbolizes the many layers of family and friends to which you are connected. Fish feature prominently in Oresund’s art and jewelry, because the country is coastal, and heavily dependent on its fishing industry. 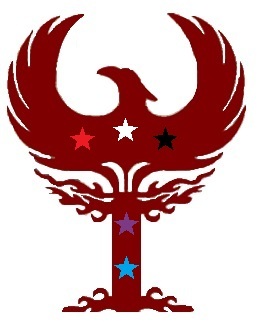 The phoenix is common too, especially if paired with five stars, as in the national flag. The phoenix is also worn as a charm by the especially devout, as it is the symbol in their belief that their gods will rise again. Oresunder ritualists tend to wear long, solid-color robes. Oresunders pay two fewer points for Ritualism Initiation.